Words by Moore. Tune (from Bunting) Kate Tyrrel. That heart confided in thy smiles Love smit, yet taught not lovers' wiles, And hail'd thee in life's morning hour, Its early star, its opening flower. Words (from the original Irish) by Miss Balfour. Tune The Captivating Youth. 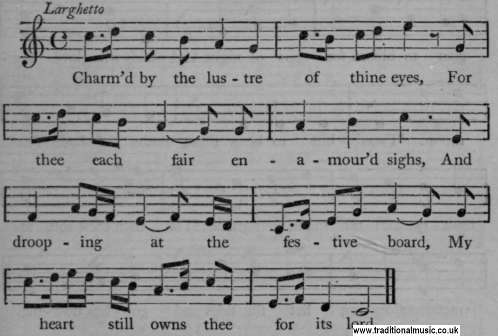 From Bunting's Music of Ireland.